Bill has been recording for over 40 years. For his solo act he uses backing tracks he has recorded on various devices beginning with a four track Teac reel-to-reel recorder. This was followed with a Fostex reel-to-reel, eight track recorder, then by Roland and Boss 8, 16 and 18 track “all-in-one” digital recorders. Currently, Bill is using an Apple Mac with Garage Band and Logic Digital Audio Recording software. Since Bill plays guitar, drums, bass, keyboards and other instruments he is able to record track by track to produce a full band recording. This allows for example, a singer-songwriter to begin with a simple idea of lyrics and chords and have the song produced so that within a few hours, they have a CD of their songs in hand that they can listen to in their car on the way home. Bill’s recording philosophy is to capture the best possible sound in the recording process, and never say that you will “fix it in the mix” which often leads to compromises. Using this process, the artist can dispense with a lot of outboard gear that would add cost and delay to the recording process. Using the digital process, an artist can record their song with Bill and take the digital file to a “bigger” studio for final edits, mixing and mastering, although this is often not necessary. A little history of Billrobertsmusic Recording begins with Bill’s recording in the 70s. A songwriter friend of Bill’s wanted to record his original music and needed instrumentalists to finish the record. Ten songs were recorded for an album call The Pynz. The songwriter found a backer who invested in rerecording the entire record at Sheffield Studios, Baltimore’s premier studio at the time. Bill played and rerecorded all the original tracks. The album was mastered at Minot Sound in White Plaines, New York. At around the same time another songwriter friend of Bill’s, Joey Daddario needed the same services and recorded several songs with Bill engineering and performing on guitar, bass and drums. During this time, 98Rock, the Classic Rock FM station in Baltimore held a contest for local bands. The prize for the top ten winners was to go into a “real” studio (Sheffield) and rerecord their winning song and have it included on the 98Rock album (vinyl at the time). This was to be a huge break for any band that won, including radio play of their song, having their name announced to thousands of listeners, appearances with radio personalities and the status of being associated with 98Rock. Hundreds of bands sent in their best song demos. Judging was based on the songwriting but also the bands performance and you’d have to believe a good quality recording wouldn’t hurt. Weeks passed as we awaited the verdict of who would win this coveted spot on the album. When the winners were announced, BOTH The Pynz and Joey Daddario won the prize to be on the album! Both of Bill’s clients won. The shame of it was that neither act was actually a “band” and all the promotional appearances were wasted since Bill was in a full time band at the time and chose to keep the “full time job”. Years pass as Bill refines the recording process and records hundreds of backing tracks. 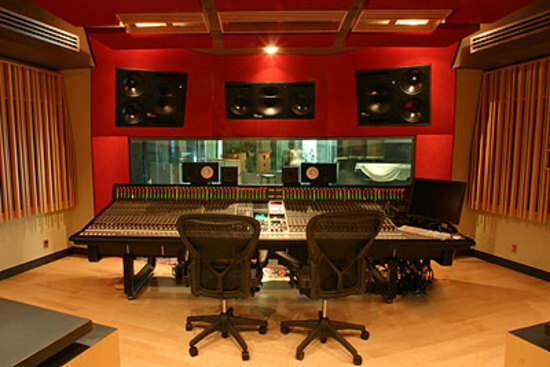 Many songwriters or “recording clients” come through the studio to have their songs produced. 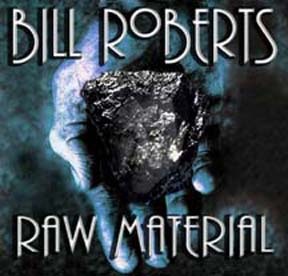 In 2006 Bill recorded his own CD, Raw Material featuring mostly British blues of his heroes growing up, Eric Clapton, Jimmy Page, Jeff Beck, Rory Gallagher and Delta Blues savant, Johnny Winter and Stevie Ray Vaughan. He performs all the instruments and vocals on the CD. One of the talented songwriters during that period was also a skilled graphic artist and provided the cover art for Raw Material. 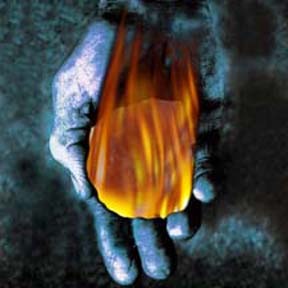 Sherry Land-Hicks used the “lump of coal” metaphor to signify the basic element of not only Bill’s playing, but that of rock and roll. The back cover shows the coal “on fire” to signify a compliment that is heard by guitarists when people appreciate their playing! Here are two songs from Sherry Land-Hicks’ album recorded with Billrobertsmusic. Sherry wrote the songs, sang them and played acoustic guitar. Bill produced the songs, playing all the other instruments and recording the entire project. Check out Darryl Ellyson’s album “It’s Such a Shame”, released in January 2016. Eleven of the twelve tracks were recorded at Billrobertsmusic. Bill and Darryl perform most of what is heard on the album and all of what you hear below. This is an example of the vocal and acoustic guitar tracks of Darryl’s “(I Got The) Blues Over You” . Many singer/songwriters have taken their music to this level but have no band to play their songs and have no way to produce a high quality recording of their work. Next is the finished version of “(I Got The) Blues Over You” after being produced. The following is another example of the Vocal and Acoustic guitar tracks from “Over and Over” to be included Darryl’s forthcoming album. Now listen to “Over and Over” with full band and recording production. Bill can often produce your song from an idea to a finished CD in a few hours. Clients often have their finished CD in hand after a single session, ready to send to publishers, venues, record companies, booking agents etc. A message for the “solo” singer songwriter. Ever dreamed of recording your songs with a full band? Ever wondered what it would sound like if you did? Those of you who have seen my show know I play acoustic guitar and sing. This song and many more on my Reverb nation page were recorded by me and one other guy… Remember, I play acoustic guitar and sing. That means the other guy played and recorded everything else. I write the songs, the music and the structure of the song. The other guy does everything else. I strongly recommend you contact this guy if you want to bring your songs to life. Bill Roberts is the guy and he is an incredible musician and he can do the same for you. Message him now! (The very nice message above was unsolicited from Darryl Ellyson’s Facebook Page) Thank you Darryl! 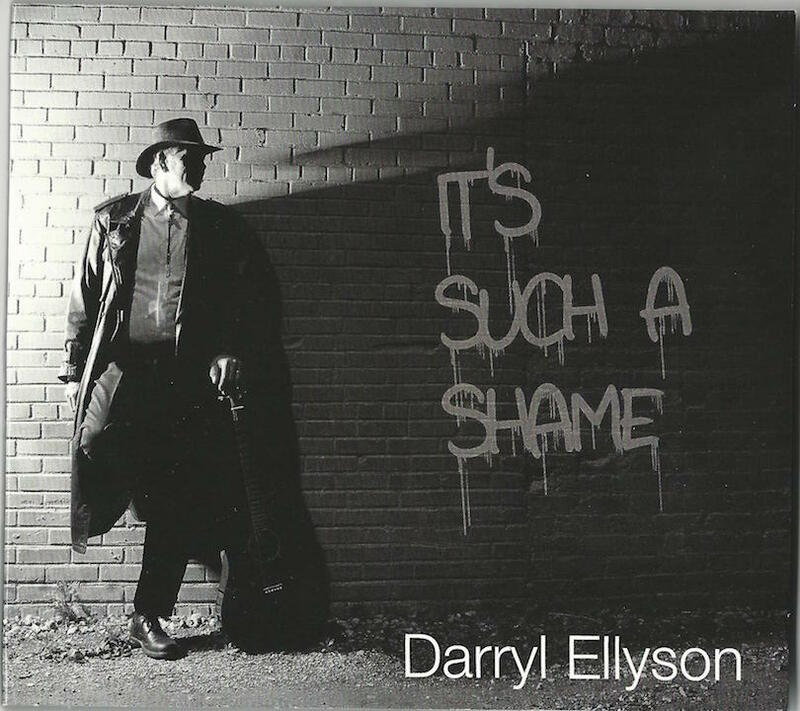 Just a bit over two years ago I had the pleasure of doing a review of “It’s Such A Shame” – Darryl Ellyson’s debut release. In that review, this was one of my opening statements…..With the exception of several featured players on a handful of the songs, all of the music pretty much comes from Darryl and Bill Roberts, of whom Darryl had this to say: “Bill plays all instruments and without him, all my songs would still be acoustic songs I’d only play at solo gigs”…..Going with the philosophy of “If it’s not broke, don’t fix it”, that statement pretty much holds true for this disc, as well. On “Been Out Traveling“, Darryl Ellyson sings the lead & background vocals and plays rhythm guitar while Bill Roberts plays lead guitar, bass, drums, keyboards and sings background vocals. Other performers include: Velpo Robertson on lead & slide guitar and background vocals; Janet Martin on slide guitar; Rusty Farmer on bass; Kip Williams on drums; Kevin Simpson on saxophone; Jerel Lewis on keyboards & background vocals; and Carlos Chafin on keyboards. All ten of the disc’s tracks are Darryl Ellyson originals. The opening and title track is one of the five tracks that were recorded live in the studio by the full five piece band. It’s an all out smoker powered by the relentless rhythm of Kip on the drums, Rusty on the bass, and Jerel on the B3 organ; Killer slide guitar by Velpo; and with a voice the size of his statuesque frame, powerful vocals by Darryl. As he tells it, Darryl’s “Been Out Traveling” all around this great big world and although he’s never been to heaven, he’s sure been to hell. From the pen to the performance, a very well done track. It’s only the second track and I’m already knowing I’ll be referring to this rhythm section quite often. As a matter of fact, with Kip’s percussion lead, “Lovin’ You” is totally about the rhythm. Put your dancin’ shoes on and get ready to rumba. “Ain’t Gonna Let You Go” is one of a handful of tracks where Bill is all over the place – and with him nailing it on the guitar, keyboards, drums and bass – I do mean that literally. That said, Carlos on the piano and Kevin on the sax, both do one heck of a job on their only appearances as well. In a conversation I had with Darryl, who was sounding quite soulful on this one, I was told to expect a lot more soul with a lot more horns on his next CD. Bring it on, big guy! The several soft piano notes that gave way to the soothing guitar intro on the opening minute of “Lost In Your Love” clearly defined the mood of this one. Then Darryl, with a delicate intensity, started to emotionally belt out the songs doleful lyrics and I melted. My regular readers know that the way to floor the Blewzzman is with a slow, bluesy ballad and Darryl knocked me for a loop with this one. Wow! Everything I said above can be said of “Everything I Do” as well. It’s another slow blues ballad but on this one, Darryl’s vocals have a lot more attitude. The track also features some of Jerel’s finest finesseful piano playing. Being a connoisseur of music, while also being someone who cannot play more than one note on any instrument and make it sound good, my envy surfaces when I hear Bill Roberts – a virtual one man orchestra – play. This is another one of the tracks where whatever music you’re hearing is coming from him. And then there’s Darryl, sounding a bit Stevie Ray Vaughn like on this “Cold Shot” sound alike titled “I’m Gone” and once again the dynamic duo has struck. Other songs on “Been Out Traveling” include: “Baby’s Love“, “Pushin’ Against My Heart”, “The Sweet Times” and “Won’t Include You“. Right now music is Darryl Ellyson’s second career but in the not too distant future, that will be changing. In the meantime: by writing all of his own songs; sounding incredible singing them; producing and releasing a quality CD every few years; and playing lots of local and regional gigs; he’s laying the groundwork for one hell of a musical career when that time does come. In place of a website, Darryl Ellyson uses ReverbNation –http://www.reverbnation.com/darrylellysonbluelightdistrict – but should you want to contact him, it’s probably best to do so by liking his Facebook Page. As usual, please tell him the Blewzzman sent you.